They say if you can only do one household project, that project should be updating your kitchen. It is, as we all know, the most essential and most used room in the home, and the one living space that can bring you return on investment. For most homeowners, finding time to make even minor kitchen repairs is difficult. Those tasks pile up and next thing you know, you're considering a larger kitchen remodel. 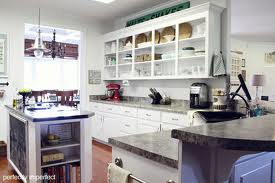 Whether you are already considering a complete remodel, or upgrading or refacing your cabinets, replacing old countertops, or changing out your garbage disposal, My Handyman OnDemand can do it all.